Tender Morsels of fresh conch, seasoned to highlight our rich Jamaican flavours, cooked to perfection. Tender jumbo shrimps sumptuously melded with fresh crisp vegetables and flavourful Jamaican scotch bonnet peppers. Juicy Tender Grilled Chicken Skewers, spicy served with a vibrant pineapple dip. Succulent pieces of boneless chicken breast on bamboo skewers, marinated in garlic, char-grilled to perfection. Our Signature Favorite Freshly-caught Steamed snapper served with perfectly julienned carrots, onions and okra. 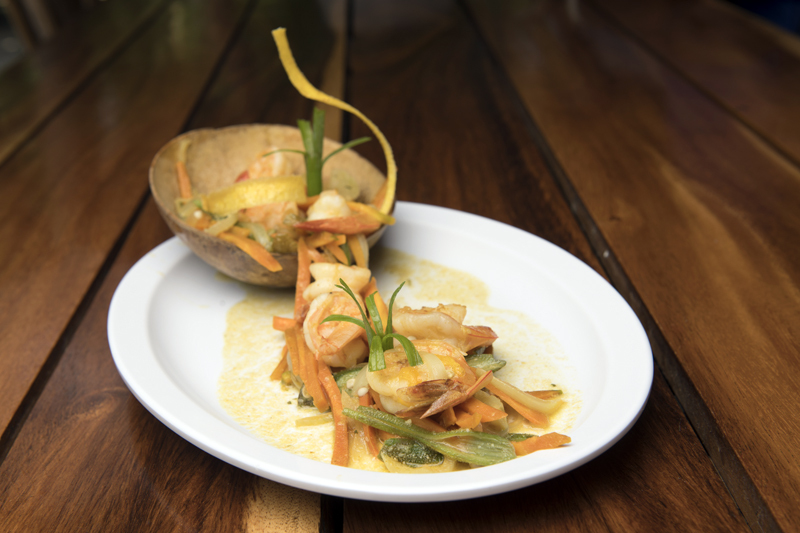 Redeem your palate with this delightfully succulent fish fillet, flame grilled and topped with rum shrimps.